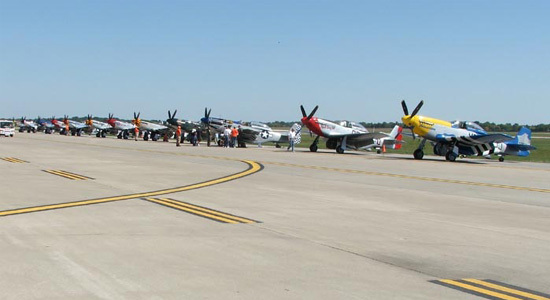 Today Mom, Jeff, Jake, Sarah and I attended the "Gathering of Mustangs and Legends" at Rickenbacker International Airport in Columbus. We saw flights of the P-51 Mustang, F-16 Fighting Falcon, F-15 Eagle, F-22 Raptor and the Thunderbirds. There were many aircraft on display. From vintage World War II planes to the current high tech jets. Most of the aircraft on hand was military. There was lots of sunshine and walking. 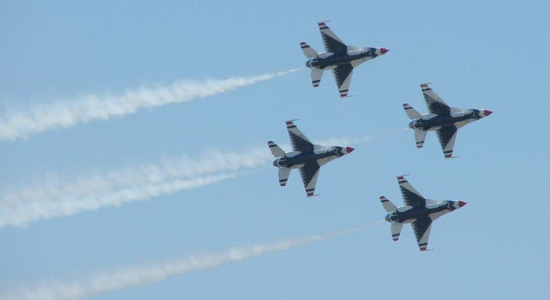 There were over one hundred and fifty thousand people there during the fours days of the air show. I really had a fun time. Sarah ran out of gas and was a little cranky by the end of the day. Man I love the sound of fighter jets!